Whenever a strange book mysteriously turns up, google it before cracking it open for a bedtime story. Like Candyman, the protagonist of a creepy picture book arrives when bidden and there will be no getting rid of him in Jennifer Kent’s The Babadook (trailer here), which screens during this year’s New Directors/New Films, co-presented by the Film Society of Lincoln Center and MoMA. Six years ago, Amelia husband was killed in a traffic accident as he was rushing her to the hospital. She survived to delivery Samuel, their physical healthy but deeply maladjusted son. Naturally, celebrating his birthday is always awkward affair. Prone to acting out, Samuel is a real handful. Lately, he is pushing his still grieving mother to her breaking point. Then a rather peculiar picture book titled Mr. Babadook appears. On paper, Babadook might sound like an atypical genre selection for ND/NF, but former Australian TV thesp Kent is indeed a new director. She also takes a stylish approach to the material. Max Schreck’s Nosferatu would feel at home in Amelia’s severely gray, creaky old house. In a nice hat tip, the magically themed films of George Méliès are often seen on television, further setting the mood. Likewise, Alex Juhasz’s Babadook illustrates are creepy and eccentric, recalling the better work of Tim Burton before he lost his edge. By genre standards, Babadook is an unusually accomplished production, but its two tormented leads really try a viewer’s patience. Admittedly, some serious paranormal skullduggery is afoot, but Essie Davis’s Amelia becomes rather problematically overwrought, flirting with outright melodrama. Usually, moms are the level-headed ones in times of crisis, but not here. Likewise, the clammy bug-eyed presence of her partner in this near two-hander often undercuts the drama. On the plus side, Kent’s instincts were on spot-on perfect when determining how much of Bobby Duke she would show and in what context. The look and mechanics of the film are quite strong (with considerable credit also due to cinematographer Radek Ladczuk), but viewers might find themselves rooting for the little hobgoblin rather than against him, which is not necessarily a terrible thing. 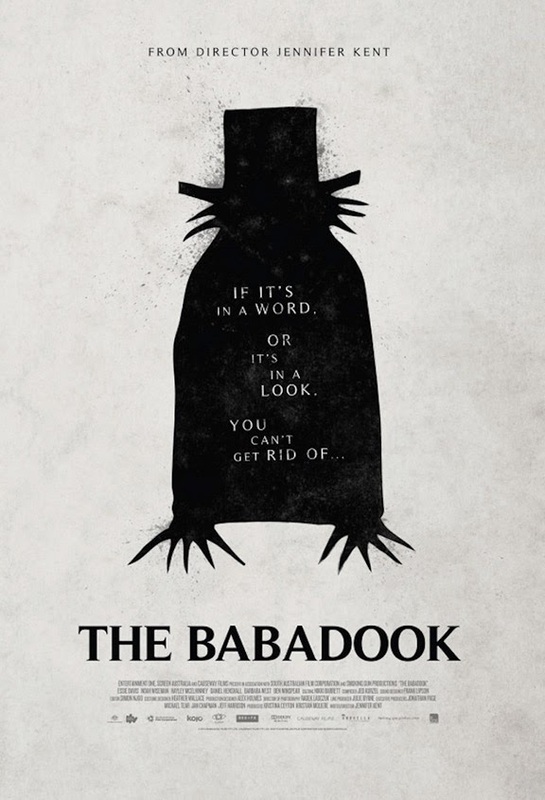 Recommended for horror fans inclined to grant style points, The Babadook screens this Saturday (3/22) at the Walter Reade and Sunday (3/23) at MoMA as part of the 2014 ND/NF.